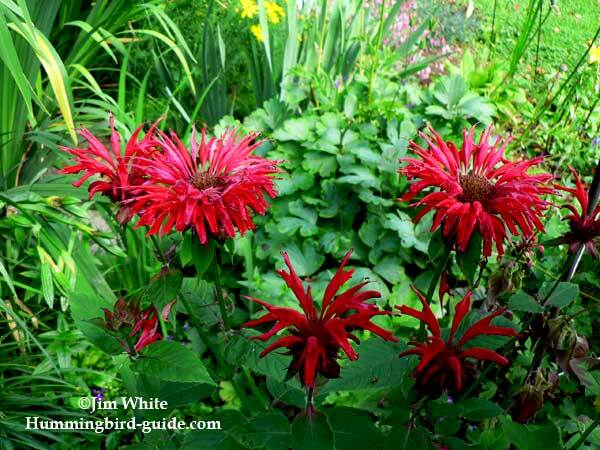 Bee Balm for Hummingbirds, Monarda. The Most Attracting to Hummingbirds. 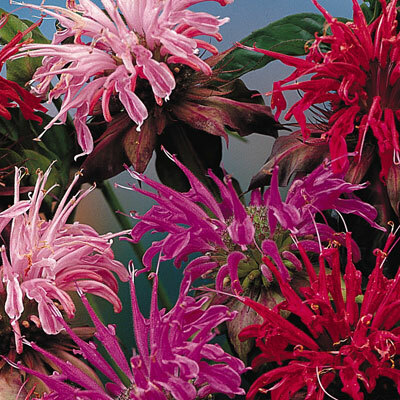 Bee Balm for hummingbirds is available in many varieties and colors. The Scarlet Bee Balm is most preferred by hummingbirds. The spiky red and scarlet clusters beautify our gardens and the hummingbirds certainly enjoy them. One of the first things we noticed after planting was the minty aroma of the leaves. Moranda is in the mint family and anyone can use the leaves to brew a unique and refreshing tea. This plant is easy to grow and requires little maintenance. We love our Monarda and enjoy watching our hummingbirds hover around one of their favorite plants. Consider your planting zone. We live in Zone 4 and it grows well here. This nectar rich flower grows in Zones 4-9. Remember sun requirements. Plant in full sun to partial shade. Plan your garden and think about the height of the variety you grow. Varieties range for 1 to 4 feet tall. If you are planting a Hummingbird Flower Garden, plant the tallest varieties in the back. We recommend that you think about soil requirements. It prefers a well drained soil but a special feature of this plant is its’ ability to grow in moist soil. Jim and I always allow for good air circulation around our plants to prevent an attack of Powdery Mildew. We like to stimulate a second flowering by dead heading (cutting off the flower bud right after they have finished blooming). It’s nice to have more flowers. Also, this can be great for hummingbirds who need to bulk up for migration. Having this extra available nectar is just what they need later in the summer when the second blooming will occur. Bee Balm can be invasive. So about every 3 years, you can divide your plants in the spring and fall . We often find ourselves adding them to another garden. We find that good friends and relatives appreciate receiving them as a gift. We like to think that this is also a gift for hummingbirds too. They will soon have more nectar in another garden. While there are more than enough hummingbirds and habitat, food supply is diminishing for these beautiful creatures. So we always encourage our friends, neighbors, and relatives to plant a hummingbird garden. If you use fertilizers on your perennial garden, we recommend organic fertilizers since chemical fertilizers especially sprays can be harmful to hummingbirds. Another great hummingbird attracting flower is the Phlox. Visit the Planting Zone Section to see a list of hummingbird attracting flowers that will grow in your area. 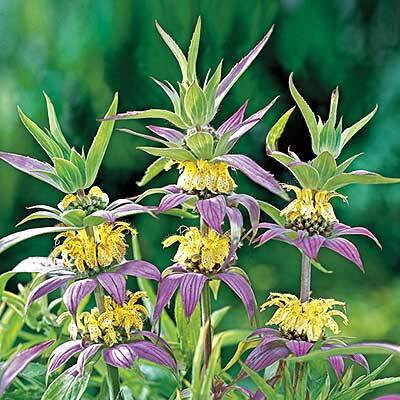 Monarda are among our most favorite flowering plants. Plants grow to a height of 2-4 feet and are covered with blooms summer to early fall. Flowers produce a sweet nectar that is highly attractive to both hummingbirds and butterflies. Prefers to be planted in full sun, but we have had luck with only morning sun as well. We send mixed colors of our choice that may include red, pink, purple and white. Attracts butterflies and hummingbirds, fragrant, deer resistant, good for cutting, for a rain garden. This native perennial puts on a wonderful mid-summer floral display of yellow flowers that are surrounded by showy lavender-pink bracts. The fragrant flowers are very attractive to butterflies and hummingbirds. Grows very well in poor sandy moist soil where it will gradually spread. Plants are 24-28'' tall and 24-30'' wide.